Sally is hosting our challenge today, and the theme is For a Special Woman/Girl or Mother's Day. 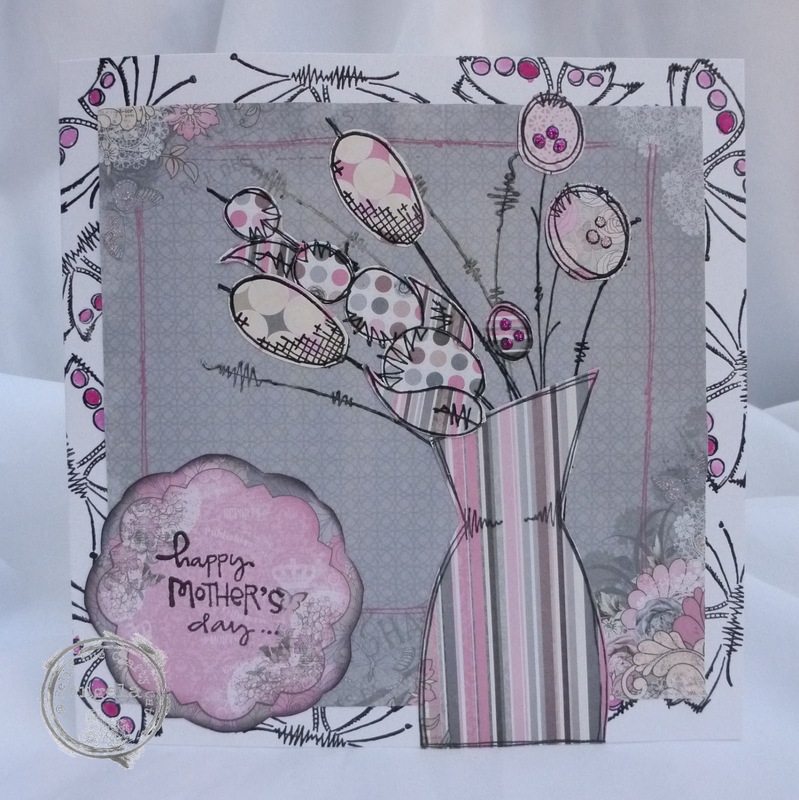 As it's Mothering Sunday on 26th March if you are in the UK, we would like to see your cards for that Special Female in your life. and it would be nice if you shared with us who your creation is for. As usual anything you care to enter is fine, a card, scrap layout, mixed media piece, some home decor, as long as it's for a Special Female. 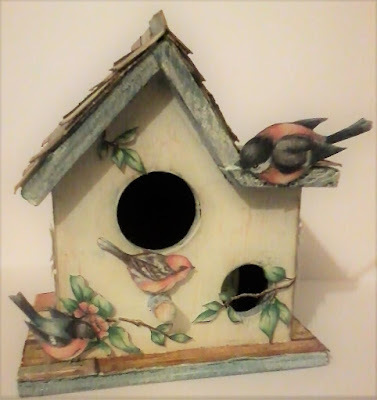 I have made a home decor piece for my Mum using Hobby Art stamps and a wooden bird house. A card for my daughter who's got a birthday this week. I've used dies and an embossing folder from Crafter's Companion and others, along with some Coredinations Whitewash card, and embellished the centres of the flowers in the background with transparent/gold sticky dots from Craft Creations. 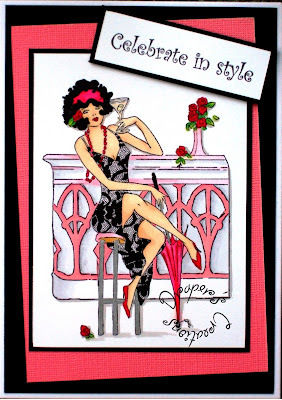 This card is for a very dear friend of mine for her birthday. I love the sentiment on this old rubber stamp I have had for many years by Stamps Happens, Inc. 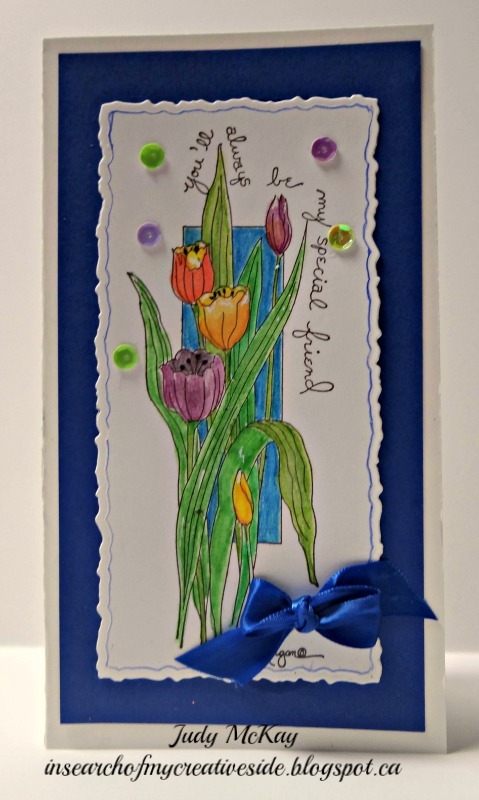 The stamp is called My Special Friend and the sentiment says "You'll always be my special friend". The card was coloured with Ink Intense Pencils. My card this time was a last minute request, and I used one of my hunkydory little book images with a backing of rainbow mirri card. I used two fancy edge card blanks for the base and added a complementary ribbon bow. Hi all made this card from some free Bo Bunny papers that I've had for a while but seemed like the right time to use them. 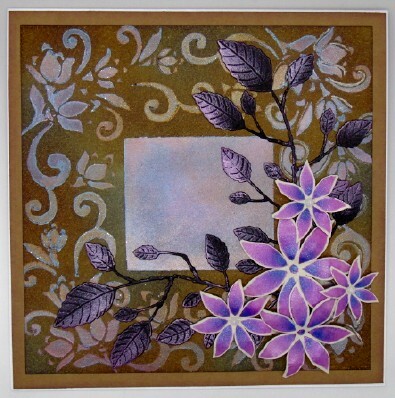 I'm sure you recognise the gorgeous Paper Artsy stamps and the sentiment is by Melissa Frances. I completed this with some Stickles glitter glue. It is my sister's birthday shortly and this is for her. I have used a stamp from Crafter's Companion Frou Frou collection called it's never too early and coloured it using Spectrum Noir pens. Hello everyone. 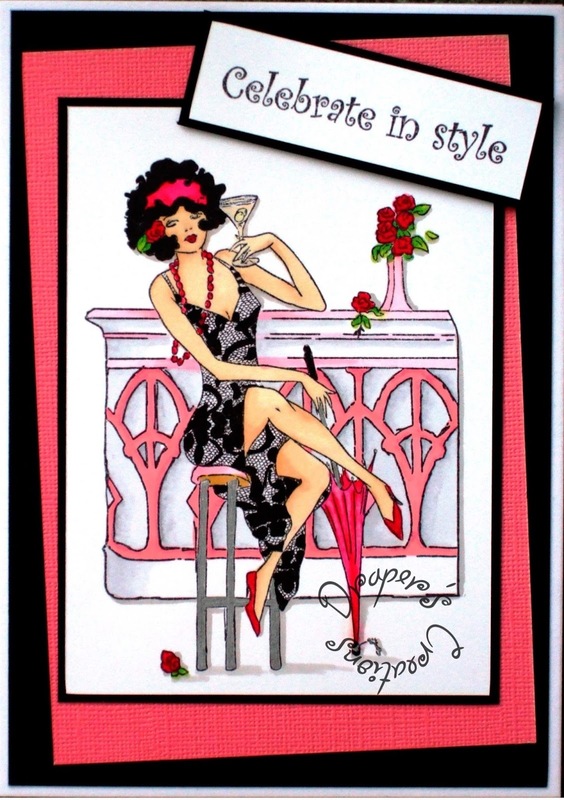 This card was made for my Niece who is turning 50 a little later this year. The papers are from Maja and the flowers are from Megs Garden. 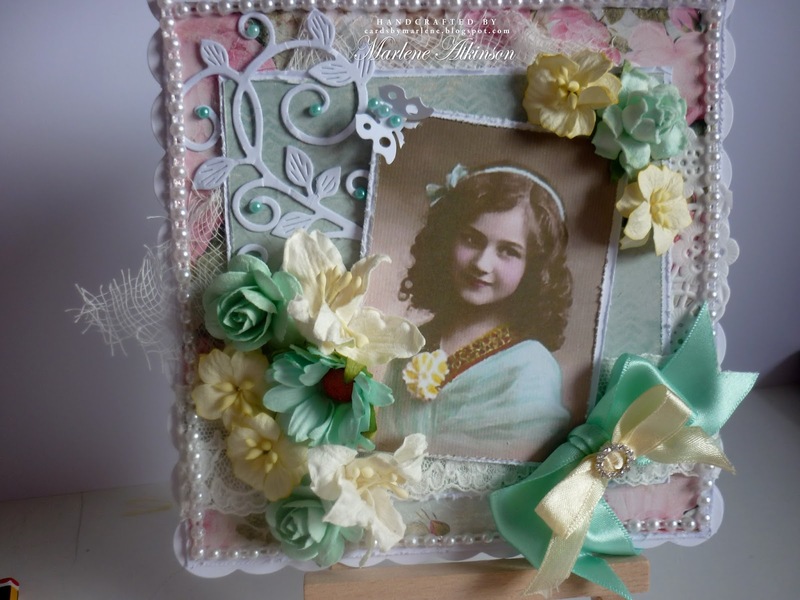 Lots of layers on this card .. the papers, a doily which was cut in half and there are also two hidden tags as well. Topped it off with a piece of pretty lace, a seam binding bow and a few scattered prills. I made this card for my sister's Birthday and used an image from Digital Two for Tuesday that reminded me of a picture of us in our childhood from a later era.. I made this card for my Niece's Birthday I used a vintage image, distressing, lots of Flowers. I have 2 mother's Day cards to make and this is the first one and it uses a fabulous image and sentiment from Simply B Stamps (I'm a new convert to these images!) I just thought it was adorable when I spotted it in the store and the sentiment made me smile, I have used digi papers Stacey's Scraps ~ Strawberry Ice Cream kit. Stamped, embossed and die cut the flowers finished off with some leaf die cuts and some pink gems. 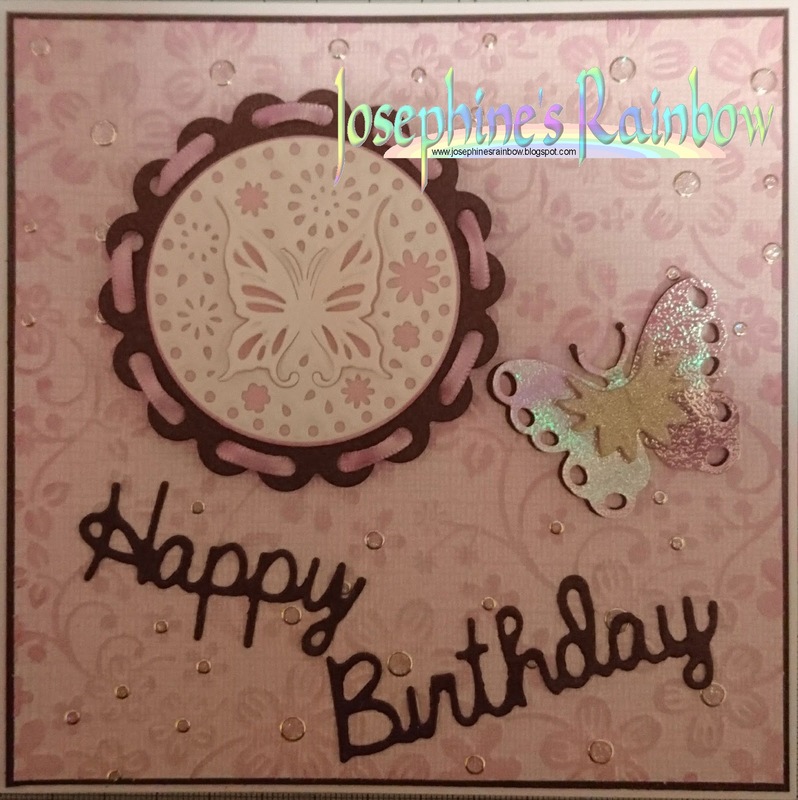 I made this card for a very special lady.....my eldest daughter Jenni. What girl doesn't like a bunch of beautiful sparkly flowers. 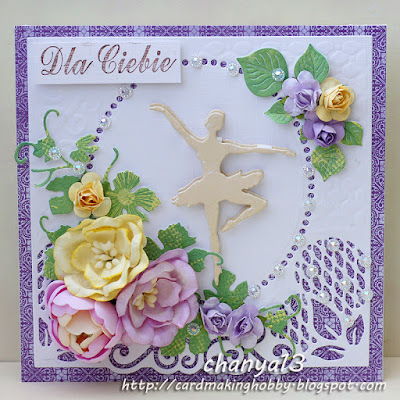 I made romantic card with ballet dancer in the middle of my card. I used very fresh colors combo - purple and yellow, I added flowers and gems. 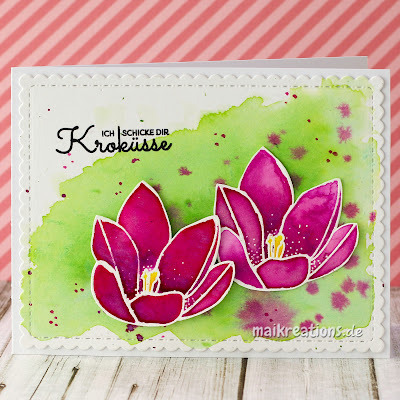 I used these gorgeous stamps by "Create a Smile" and added colour with Twinkling H2Os. Check our my blog post for a picture that shows all the shimmer and shine these watercolours give. I made this card for my beautiful daughter, Donna. Donna always has my best interest at heart and is always there when I need her. 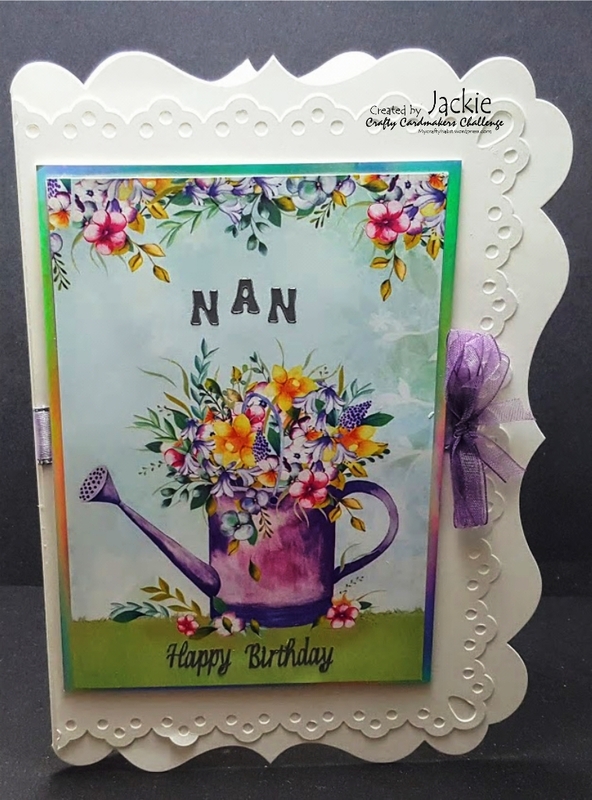 I made this card using the new Anna Griffin Edge Dies. Beautiful and lovely DT works. Gorgeous designs ladies! Thanks for the fun challenge! Gorgeous projects design team! Thanks for the fun challenge!